We do a lot of consumer research at 1-800-DENTIST, and recently we did a nationwide survey on attitudes towards dentists and dentistry. This wasn’t done just with people who called our service, but was a random sampling across the country. We learned some interesting things. First, more than 65% of Californians have a regular dentist. This is higher than the national average, and almost the reverse of certain southern states, namely Mississippi and Alabama, where nearly 70% of the population do not have a regular dentist, and only seek one in an emergency situation. On another note, more than half of dental patients in New York that we surveyed were unhappy with their dentist. Are people just crankier in New York? Because over 65% were happy with their current dentists in California. It’s not like they don’t have a choice to change dentists in New York. They certainly don’t have to go all the way to California to find a dentist they like. There are wide variations in dental behavior all across the country, and we have learned from answering millions of calls from people looking for a dentist that their expectations are also quite varied. In some parts of the country the majority of people expect someone else to pay for their dental care, and in other cities and neighborhoods the primary concern is the level of care and expertise of the dentist and practice, regardless of cost. How can there be so much variation around the country? We all watch the same TV shows and movies, with actors with great smiles, why is it so acceptable in so many places to neglect yourself until it’s an emergency, and even then an extraction is the requested treatment? My only conclusion is that it’s cultural, and that culture can be very localized. And I do see the consciousness shifting in the consumer mindset, but it’s gradual, and was certainly set back in 2008 when many people in the middle and lower classes lost a good portion of their discretionary income, and paying for their dental care became a financial impossibility. It seems unlikely that the Affordable Care Act, which is already a Frankenstein of various conflicting solutions, as it mutates and is either gutted, revised or replaced, will ever encompass much in terms of dental care. It does currently require that most children be covered by 2018 (after another presidential election). And therein lies the solution, I believe. It starts with children, as most cultural shifts do. 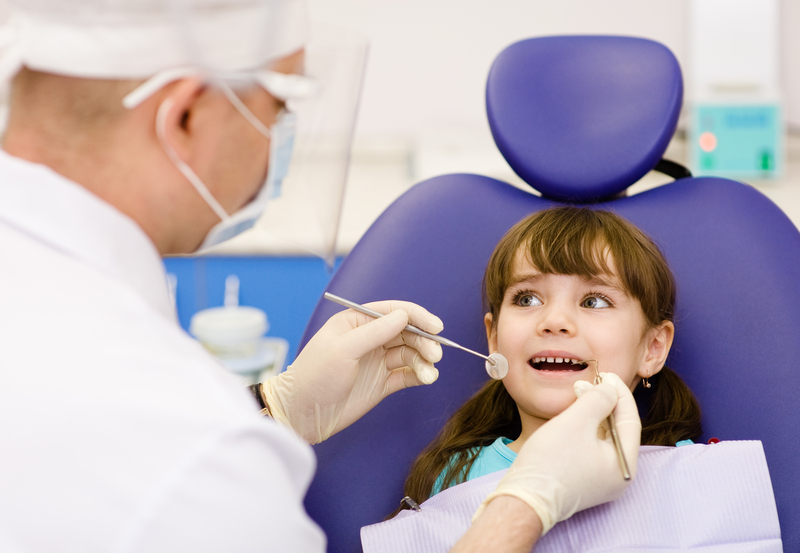 We need as an industry, as a nation, to do our level best to help children to, first, not be afraid of seeing a dentist (that usually means keeping the parent out of the operatory) and to be much more concerned about neglecting and damaging their teeth. We are making valiant stabs at this, by eliminating sugared drinks in schools, and in California, for example, a child cannot begin the first grade without having seen a dentist, but much more needs to be done. Our company is going to keep promoting dentistry, and expanding our ad budget, but I think it will take an increased focus by individual practices all across the country to make this tectonic shift occur. I hope you’re with me, and I welcome your thoughts and comments on this. What exactly do I mean by that? Isn’t it a health science? Not in the consumer’s mind, unfortunately. First, appearance is a very subjective issue for people. Some care to an intense level about their teeth–how straight, how white, how much gum recession–and others can be comfortably missing number 9 and don’t even wonder what people are staring at. Those are the extremes, but we know that patients are all over the map when it comes to their dental care, most leaning toward neglect and procrastination. And what’s worse is that since people mostly have to pay for their own dentistry, they often make very serious oral health care decisions based almost entirely on cost. This is in contrast to the rest of their bodies, where someone is going to fix whatever’s wrong at whatever cost, as long as they pay the co-payment. So they rationalize their irrational, short-term thinking. And lastly, enamel is tough. It takes a lot of abuse, and the damage is so gradual that most often it goes un-noticed for decades. So the burden is on the dentist and the team to amplify the value of good dentistry in the patient’s mind. And you also have to help them take a long-term view of their body. Every six months we hear of some new connection between oral and overall health, the latest linking perio disease and Alzheimer’s. But people smoke, eat low-nutrition food and don’t save money simply because they don’t consider the long-term effects of their actions. So how do you do change this? Education? I’m going to take a radical view on this, and say “no”. At least not at the outset. People already know they should eat right and save money. But we are 40% obese and only 3% of the population retires financially secure. I suggest that education comes second. Remember your favorite teacher in high school? Didn’t you learn the most in that class? Same concept. Which brings me back to the idea that dentistry is subjective. I think it starts with the experience of being in your dental practice. And I don’t mean the clinical experience, for the most part. I mean the atmosphere, the attitude of your team, the design of your office. My previous blog talks about having a remarkable team, and this is the cornerstone of that patient experience. 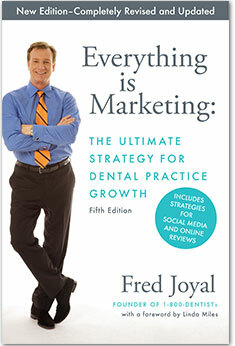 I believe that having a great dental practice is what opens people’s mind to a long-term view of their oral health. The most successful dentists I know have high treatment acceptance not because they educate their patients extremely well. Many times the patient doesn’t know much at all about the treatment itself (or doesn’t even want to know). But they like their dentist. They like going to her office. They like the people who work there. And here’s something else: they get the sense that everyone in the practice genuinely cares about them. As human beings, not just as patients. And not just as a source of income. So if we really want to help patients, we have to understand their psychology, and accept that to persuade them that their teeth are important, we can’t come at the problem directly. And realize that by creating an environment that is fun, comfortable, convenient and filled with compassionate people we open their minds, and their hearts, to taking care of their teeth. And that lays the foundation for the second step, educating them. And let’s not forget that social media has become an excellent way for you to demonstrate what the experience of your dental practice is like, and for your patients to do it as well. Comments on Facebook, photos of happy patients, video testimonials and online reviews are all essentially revolutionary ways that people can discover what it’s like to be a patient of yours. The general population sees dentistry as something that can easily be avoided or ignored, and that their teeth don’t have to be straight, their gums can bleed (“That’s normal, right?”), and their breath can be disgusting. But we know better. And knowing better hasn’t done us much good. We’re a lot like life insurance salesmen, trying to get people to think long-term and about something unpleasant at the same time. Tough combination. So let’s try a different approach. Outsmart people for their own good, and offer them a dental practice they can’t resist. Hey, it might be kind of fun to work at a place like that, too! There was a terrific TED* talk this year about how much time most of us spend sitting. The speaker pointed out that the average person sits 9.3 hours a day–more than we sleep, even. And people with desk jobs may sit as much as 15 hours day! The speaker was Nilofer Merchant, and she proclaimed “sitting is the new smoking,” and explained about the health ramifications of that (which should be fairly obvious, yet here we sit). At a dental convention recently, one of the speakers, Juli Kagan, demonstrated her solution to the sitting problem in the dental practice. She has a terrific book on the subject where she incorporates Pilates into our daily sitting routine. The book is called Mind Your Body: Pilates for the Seated Professional. You can find Julie’s book here. What Juli told me that I thought was most profound was that “posture is not so much a physical thing as a mental thing.” Her point was posture is something that we have to continually monitor, essentially catching ourselves slouching in our chair, or hunching over a laptop, or all the other awkward positions we subject our bodies to. And gradually we’ll train ourselves to stop. When she said this, it immediately made me think about how important it is to do the same kind of monitoring with our attitude. It’s so easy to slide into negativity in the course of our day. We are bombarded with bad news, problems, challenges, and people with bad attitudes themselves. (Often these are patients, but sometimes they are the team members.) I have found that a good attitude is a choice, and from that choice positivity spreads, and positive results appear. And a bad attitude has the exact opposite effect. The problem is that we are talking to ourselves all the time, and way too often that voice has something negative to say, like: “This person is wasting my time,” or “That driver is an idiot,” or “Nobody cares about me.” The list of little negative messages is endless, and if you stop and really listen you’ll be shocked to hear what you tell yourself. And most of the time it’s not a fact, but a negative opinion. It turns us into emotional hunchbacks. Believe me, I do it too. And everyone around us perceives it and is affected by it, from friends and family to patients and co-workers. 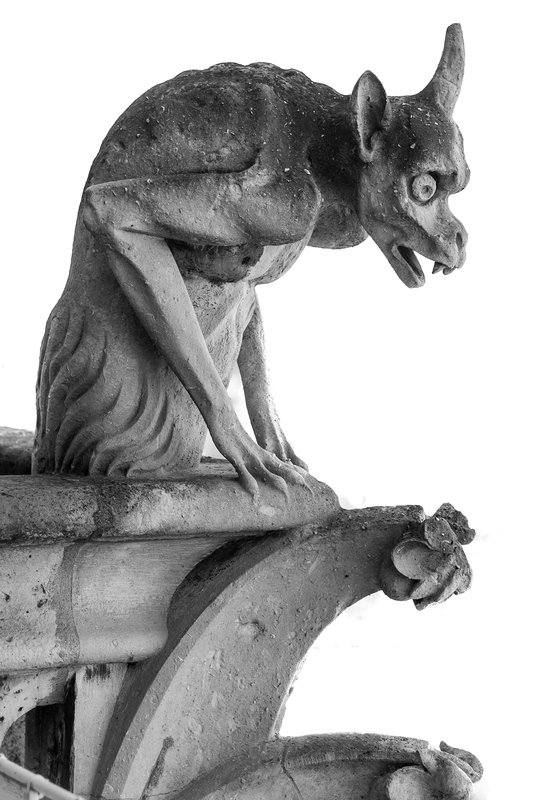 The way to change it is to monitor your emotional posture. Do it with your team in the morning huddle, and then do it throughout the day. If you find yourself about to contribute something negative, like “people don’t respect our time,” switch it to “people are busier than ever–we need to adjust our behavior.” The more you do that emotional reset with your negative thoughts, the lighter you will feel. And if someone on your team insists on staying negative, I talk in a previous blog about what to do. This is the simple truth: in almost every situation, your attitude affects the outcome. So make it a habit to check your emotional posture. You’ll notice almost immediately that people will respond differently, and best of all, you’ll enjoy your day a whole lot more. *If you’ve never heard of TED, it’s an annual conference where thought leaders from all walks of life come and share their ideas. Their motto is “Ideas Worth Spreading”. There are hundreds of videos on virtually every topic. They are inspiring, enlightening and often moving, and they will make you believe that a better world is coming and that people are working hard to achieve that. I highly recommend visiting their site and watching at least one video a week as a cure for negativity. You can watch Ms. Merchant’s three-minute video here. How often do we do that–automatically assume someone wants a first-class experience when their tastes don’t run that way? It’s important to keep in mind that many patients don’t need premium-level dentistry. They don’t need a perfect smile. Some of them have a smile that we can barely look at, but they don’t really care. As long as they can chew their food, they’re fine. And that has to be all right. Obviously you want to keep your patients informed on treatment that is going to preserve and protect their dentition, but not everyone wants veneers or cares how white their teeth are. They aren’t going to die if they’re teeth aren’t perfect. Often we try to impose our own sensibilities on other people, or believe that everyone wants the best of everything. One of the big mistakes people and businesses make in marketing is assuming that everyone is like them. It’s almost never true. A whole lot of people are content with average, are comfortable with it, and maybe even prefer it. They’re still going to need restorative dentistry as they age, but they need to know that you’re okay doing the minimum, not the maximum. Take the time to really listen to your patients. Find out what they want, make sure they always at least get what they need, and you’ll have a great practice serving a wide range of people. 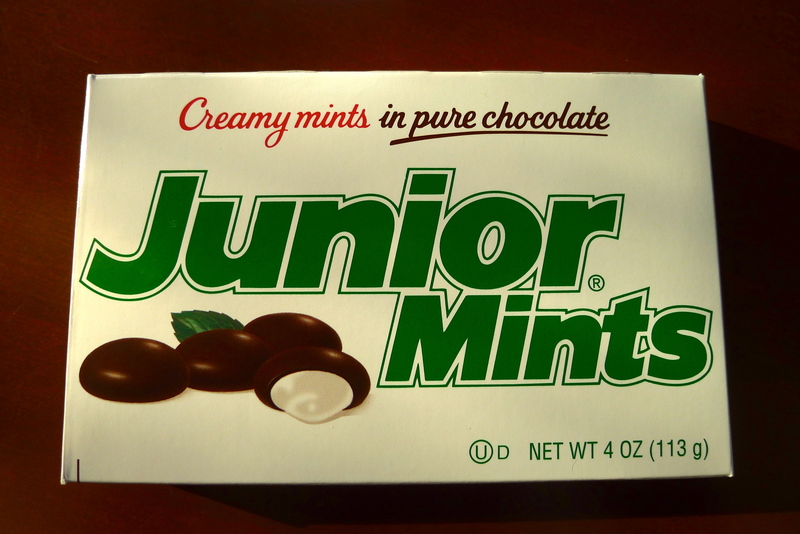 Also, I believe Junior Mints outsells Ghiradelli Chocolate Mints by about 1000 to one.